Sister to RX and second brilliant brainchild of Chef James Doss, Pembroke’s is the Port City’s locally-sourced, modern American restaurant with a splash of Southern cuisine. Doss’s farm-to-table expertise shines in midtown with his twists on New American fare like vibrant Heirloom Tomato Pie and juicy Humble Roots Chicken. This lively Wrightsville Beach-based bungalow brings earthy Latin American flavors and a legit lineup of citrusy Caribbean cuisine. Ceviche’s menu is chock full of locally sourced, Panama-infused plates like their fresh-as-can-be seafood concoctions. Other can’t miss items include imaginative brunch dishes like the Chorizo Frittata and lunchtime favorite Mojo-marinated Pork Cubano. With their oriental ambiance centered around artfully prepared Thai and Vietnamese fare, Indochine scores high marks with locals every year. Enjoy Asian delicacies—such as sticky, Tamarind Chili Sauce-doused Da Nang Chicken Wings—in their tropical oasis of a backyard. For a unique treat, check out the signature wok-tossed Pepper Steak with savory brown sauce and veggies. The smell of simmering marinara and an owner who approaches each patron like family are just some of Roko’s charming qualities. This romantic Italian restaurant whisks diners away with casual-upscale classics like cheesy baked Stuffed Artichoke Hearts and Homemade Potato Gnocci. Top off your meal with a frothy espresso and their heavenly Apple Cake. With a slogan that reads “Live. Eat. Surf.”, Wrightsville Beach’s Tower 7 has become renowned for their Baja-inspired Mexican cuisine and chilled out California-like atmosphere. Locals go wild for their homemade salsa and bodaciously fresh fish tacos. Other fan favorites include Hickory Smoked Pulled Pork Nachos and anything covered in Tobacco Onions. Indulge in one of Wilmington’s most recognizable bakeries. Apple Annie’s packages to-go products with a pinch of sugar and a handful of love. Box up their flaky Baklava or gooey Cream Puffs for a show-stopping dinner party dessert that guests will ever know you didn’t make from scratch. Homestyle comfort food that wraps you in a country cookin’-smothered-hug is the epitome of Sawmill Restaurant. Their satisfying eggs, pancakes, grits, and smiles keep the locals hungry for more. You’ll come for unbeatable breakfast prices (check out the scratchmade $3 Chicken Tender Biscuit) and stay for hearty plates like The Lumber Jack Special. While the fresh-squeezed lemonade and chargrilled chicken sandwiches are also off the charts, PT’s Olde Fashioned Grille is consistently celebrated for having the best burger in town. Not much beats the menu at this affordable, old school hangover heaven whose Certified Angus Beef Burgers—along with their French fries and other proteins—are fresh, never frozen. In our Riverfront community, this confectionary chain is a downtown dock for decadent desserts and sugary smells. Pop in for a free sample of fudge and hang out to watch the malty waffle cones being formed. Pick up some handmade sweets or a gift basket for your favorite out-of-towners with a sweet tooth. There’s a reason you can’t walk down a Wilmington street without spotting the MOI-marked truck. The largest in town, this catering company (particularly popular in the wedding industry) focuses on southern seafood buffets cooked right on site. For smaller, informal events—browse through their Drop-off Menu for platters of BBQ Pork and Scalloped Potatoes. If you don’t know the acronym PCJ, you’re probably not from here. This staple coffeehouse is conveniently scattered throughout our coastal city and reliably serves up some of the best beans and smoothies around. Locals loyally kick off their days with icy Mocha-draped Frappes and hot, made-to-order breakfast wraps. Lumina Station houses this progressive American restaurant whose Crab Cakes have become the talk of the town. These exceptional lump patties are more satisfying and elegant than any seafood cake you’ll find nearby. Sitting atop a mountain of buttery baby lima beans and finished with Applewood smoked bacon vinaigrette—what’s not to love? Thanks to the advantage of a sensational on-site bakery, Sweet n Savory is more than your average American café. In addition to morning breads and muffins galore, you can find classic New York-style Cheesecake in over a dozen flavors. For another made-to-order guilty pleasure, the Tri-Color Delise—a naturally gluten-free flourless chocolate torte—never disappoints. Ale House’s expansive menu dishes out everything from classic bar food (like glorious Jumbo Buffalo Wings slathered in creamy ranch) to lighter bites like Simply Grilled Salmon and Veggies. The generously sized, family-friendly atmosphere makes this sports-centric American restaurant a winner with each member of your household troop. Chef Dean Neff and his genius-of-a-Pastry-Chef wife Lydia are responsible for raising the bar of the Port City food scene. Pinpoint takes advantage of Wilmington’s bounty with their seasonally-inspired, endlessly creative Southern menu. Start with raw oysters, move along to the Beef Tartare with soy pickled beech mushrooms, and don’t miss the tart, tangy Key Lime Pie. Designed for the surfer lifestyle, Epic proudly puts out organic, natural, thoughtfully prepared food. You can find lean proteins, high fiber, and plenty of attention paid to specialty diets. The Power Bowls and homemade sauces are where it’s at like the Brussels with Hustle Bowl starring beets, goat cheese, and White Balsamic. Wilmington hopped on the froyo train and didn’t look back. Thanks to a well-stocked toppings bar, a dependable non-dairy option, and a diverse variety of frozen flavors—Fuzzy Peach has continued to dominate the sugary scoreboard. Seasonal varieties like Peach are perfect for scorching summer temperatures. Fork n Cork, a former food truck, channeled their juicy burger magic into a quaint establishment whose celebrated for bringing in the lunchtime crowd. Check the board for the day’s signature mac and cheese or relish in a light lunch (like the Roasted Beet Salad) and people watch down Market Street. More like a community than a grocery market, Tidal Creek is a consumer-owned cooperative natural food store. The heart of this artisanal shop’s philosophy is to actively promote local, organically grown products that are wholesome in every way. By seeking out suppliers, or produce their own sustainable, fair trade foods—this specialty shop is worth every penny. Between this veteran restaurant’s spacious waterfront deck, sunset views, and edible assortment of seafood specialties—Elijah’s is no stranger to topping charts in the Cape Fear dining scene. For fare fit to match the scenic backdrop, go for raw items like Steamed Garlic Butter Clams or steamed and chilled Old Bay-spiced Shrimp. One slice of a Pizzettas authentic, oversized pie and you’ll never dial up a delivery chain again. This Italian restaurant loads their pizzas with fresh toppings right to the crispy, chewy crust. Spicy Buffalo Chicken Pie always hits the spot, and thin, Sicilian-style Nonna’s Pizza with plum tomatoes, fresh basil, and garlic is a house favorite. Legendary for their laidback setting and super fresh raw bar, Shuckin Shack’s patio door is constantly swinging to let hungry patrons in. Family-friendly at heart, this bustling restaurant appeals to seafood-loving customers of all ages. Impress your date by (carefully) shucking a dozen briny oysters yourself. Situated in the heart of the downtown Historic District, Aubriana’s offers sophisticated New American cuisine and a cozy atmosphere without the stuffiness of a five-star restaurant. Split a bottle of fine wine and a globally-influenced plate for two (like sake-infused Foie Gras) outside on the courtyard under the stars. If topnotch salads blended with homemade vinaigrettes do your beach body good, head straight for RuckerJohns. One of Wilmington’s tasty treasures, this American eatery is known for having a knack with lettuce. Ladle over top their superior Buttermilk Ranch or Hot Bacon Dressing for greens gone wild. Get your fresh catch on at this local hot spot renowned for knocking regional American seafood out of the park. Favorites from their ocean-driven menu include zesty Shrimp Diablo pasta and decadent Shrimp and Grits with Lowcountry cream sauce. For a smaller yet satisfying dish, the luxurious Crab Bisque packs a mouthful of flavor. An almost three-decade long staple, this market is a veteran at handing out the freshest seafood (from flounder to swordfish to shrimp and beyond) on the eastern seaboard. Just take a peek at their peak location where customers can watch the fisherman unload what’s soon to be on their plates. In a sophisticated dining environment, customer service has to faithfully rise to meet impeccable standards. 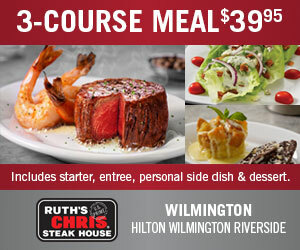 Ruth’s Chris, located in Wilmington’s Riverside Hilton Hotel, maintains a staff whose demeanor never falls short of first-rate. Servers are known for being welcoming, attentive, and making each experience a meal to remember. 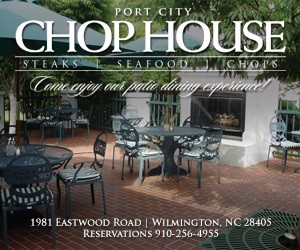 Branded as the Port City’s go-to for choice cuts of meat, Chophouse has taken the steak game to another level. Their kitchen proudly puts out entirely center cut, specially aged Angus Beef entrees whose rich flavors and extreme tenderness are untouchable. Treat yourself to 18-ounce bone-in Ribeye or opt for a leaner cut like the buttery Filet. Wilmington natives dig this trendy Asian fusion lounge characterized by its Zen interior, posh bar, and wildly fresh sushi. Even first-time diners admit that Chef Lee rolls the best in town. Get your chopsticks ready for modernized traditional bites (like Lobster Tempura) as well as specialty offerings like soy-wrapped Alaskan King Crab. You may know Kornerstone for their charred brick oven pizza and upscale Mediterranean menu, but spend a lazy Sunday at their brunch buffet and it’s the Eggs Benedict you’ll be back for next weekend. This kid-friendly establishment might be bustling at breakfast, but call ahead and be first in line for Biscuits and Gravy and French Toast. Lovey’s is Wilmington’s one-stop shop for wellness products and natural foods. The deli counter and prepared foods case are always filled with organic, veggie-packed delights that are sure to keep you sated. Check the hot bar for vegan and vegetarian versions of familiar favorites like spinach Caesar salad and hearty chili. The only match for Oceanic’s culinary experience is their captivating water-view location. Soak in the scenes of surfers from the restaurant’s coastal-themed dining room or do like the locals and enjoy a cold one right on the restored Crystal Pier. Each bite of this beachside haven’s seafood-stuffed menu is enhanced by seaside panoramas. What’s better than an epic assembly of pub grub-style starters? How about getting them half-price from 4-6 and after 10 PM? Pull up a frosty pint of FSB’s brew and tear into their Jumbo Soft Pretzel with warm beer mustard or the famous Pulled Chicken Nachos with slow-cooked, slightly sweet shredded meat and homemade salsa. Grab your flannels, beards, and bluegrass-loving crew and cruise your Sunday Funday over to Satellite. This renovated tavern rocks every day of the week with its exposed brick, cabin-like feel, and funky mountain décor. Not to mention the dog-friendly environment, full liquor bar, and extensive craft taps, bottles, and cans. Five stories up and overlooking our stunning waterside city—Level 5 is truly a hidden gem. You’ve likely passed the Front Street entrance to this building a dozen times, so swing by for a sunset cocktail, or float in late night for libations, live DJ music, and an enthusiastic crowd. It’s likely Rx’s upscale southern fare has already turned your head. But belly up to the bar and you’ll find a medley of cocktails that are equally as pleasing as the grits. Have an expert shake you up a strong signature drink—like the refreshing Hemingway Daiquiri—or pick your poison from the extensive selection of spirits. Wilmington has become Beer City USA, and establishments like Ogden Tap Room are helping to bring that title to life. This neighborhood tavern offers forty rotating brews as well as over-the-top pub grub. Pouring North Carolina’s best craft selection, but also featuring bubbles from coast to coast, there’s a pour for every palate. Drop a chic lounge onto the second story of a historic building, and you’ll fill your tables. Add a half-price happy hour menu packed with fresh sushi and eclectic appetizers and you’ll have a line out the door. Head to Yosake any night of the week from 5 – 7 PM and enjoy inexpensive Asian fare like $6 Firecracker Shrimp. Not much pairs better with a midnight game of giant Connect 4 than a heaping pile of Chili Nachos or a Buffalo Shrimp Wrap. Buzz’s Roost is a nautical, late-night seafood grub hub smack dab on Front Street. While other kitchens are shutting down, Buzz’s keeps their tasty menu afloat until the 2 AM bar crawls cease. Halligan's is a pub-style watering hole where the Guinness flows as freely as the Irish hospitality. Raise a few pints at this public house and wash them down with a succulent Reuben sandwich that will change your life. Shout “slainte” before your shot of Jameson to fit right in. Snag a bar stool on a quiet evening at Manna where you can pick the bartender’s brains. One conversation with mixologist authority Ian Murray and you’ll realize that there’s more to shaking drinks than meets the mouth. Ask Ian for a sip of his handmade ghost pepper bitters and hold onto your tattoos. Temptations is an epicurean rollercoaster meant to woo your senses. Let the gourmet café feed your belly and the wine list satisfy your soul. Not only do they offer over three hundred high-quality, affordable wines without the price hike restaurants slap on—but Fridays and Saturdays feature free tastings at different locations. Authentic, provocative, meaningful, and responsive, reads Michael Ross Kersting’s creative—and professional—positioning statement. Expansive windows facing water and sunshine, contemporary finishes that distinguish his designs—through progressive, innovative coastal design, Kersting incorporates the area’s natural elements into tailor-made design. As a litigation attorney for nearly 25 years, Scott Overholt’s built a reputation as an honest, fair, tenacious attorney, from first consultation to final proceedings. With five-star ratings across the board, clients commend the Overholt Law Firm’s knowledgeable practice and industrious work ethic. 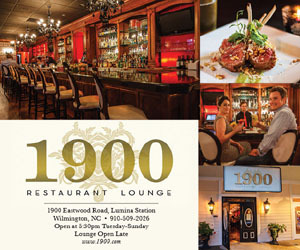 This year marks a decade that rock star Chef Keith Rhodes and his wife Angela unveiled Catch Restaurant in Wilmington. The globally-infused, local menu is a result of Rhodes’ James Beard award-winning skill set, and his steadfast devotion to North Carolina seafood and produce. Go for the Cajun-fried NC Oysters with Bleu Cheese Slaw. Recipient of several awards and widespread recognition, Mark Batson of Tongue and Groove Custom Home Builder guides clients through the design/build process toward actualizing their dream home. Clients praise Tongue and Groove’s attention to detail and eye for both modern trends and timeless finishes. Easing the oft-experienced anxiety that accompanies a dental visit, Salling and Tate inspires patient confidence and repeat visits; think comforting, calm, relaxing. Specializing in general and cosmetic dentistry, Salling and Tate—the “smile experts”—inform on teeth whitening, porcelain veneers, and Invisalign teeth aligners. Experienced, happy, professional: Skip Tyson, the Kids’ Dentist. An avid outdoorsman, Tyson recreates across local waters and trails, and his playful personal style puts his young patients at ease. Educating kids and parents about lifelong dental health, Tyson and Wilmington Pediatric Dentistry have cultivated a solid local following. Featuring innovative options like “Room in a Box” (custom design to fit your space and budget), to full service design work, from planning to actualization. From residential to commercial projects, to manifesting creative space, Liz Carroll Interiors breathes new life into Wilmington’s interiors. Co-founder of Raise the Bar Fitness in Hampstead, Mike Taranto gets this year’s title of “Best Personal Trainer.” From big gyms to small, Taranto’s trained all types of athletes with varied fitness goals. Tailor-made training and motivating workouts make Taranto a sought-after fitness provider. As a self-taught photographer, Ned Leary’s aimed his camera at some of the nation’s most beautiful natural scenery. In addition to sweeping landscapes, Leary turns his skilled eye toward portraiture, family occasions, and homes and gardens. His signature coffee table books capture the best of your best. Not only is Ken White Wilmington’s favorite plastic surgeon, the international community values him as well. White donates his skills and expertise to various third-world countries, performing reconstructive surgeries to correct cleft palates and disfiguring conditions. Locally, White and team at Wilmington Plastic Surgery offer free consultations, both fielding questions and finding solutions. A dream home on the water, or that historic downtown bungalow? Intracoastal Realty’s widespread inventory—and wide expertise—helps buyers, sellers, and renters meet their shifting real estate needs. From Carolina to Wrightsville Beach, and clear to Surf City, Intracoastal knows our coastal market. VCA Animal Hospital offers pet boarding, pet grooming, even pet counseling, as well as compassionate care for both humans and pets. A “pet information” web section trouble-shoots and informs on pet-specific problems across the animal kingdom: reptiles, rodents, birds, and those traditional, fluffier household friends. Last year’s number one is still Wilmington’s favorite appliance retailer. Just shy of their 70th Anniversary, Atlantic Appliance stocks a revamped showroom with a myriad of brands and styles, and their expert staff steers you toward exactly what you’re looking for. The votes are in: it’s a three-peat for Eclipse at Blue Moon, our area’s favorite art gallery. Home accessories, to display and enjoy, span the length of this welcoming boutique, as furnishings, wall art, jewelry, pottery, and textiles decorate the space between. Featuring four distinguished bridal designers, six lines of bridesmaid couture, and formal wear collections from a myriad of outlets, Camille’s of Wilmington continues to offer outstanding consultation and selection. Featuring accessories, tuxedo rental, and of course, exquisite looks for bride and bridal party. Priding themselves on lifelong relationships with their clientele—from wedding planning, to anniversary occasions—the experts at Protocol have been fine-tuning gift registries for several decades. From complimentary gift delivery options to gift tracking and online registries, Protocol makes gift-giving both fun and easy. “Excellent communication.” “Great sales process.” “Professional and informed staff.” A plethora of consistently positive customer feedback crowned Bob King Auto Wilmington’s favorite car dealership. From overall facilities to quality selection and staff, Bob King helps customers find and maintain their favorite car or truck. From tweeners to beyond, Justice Clothing has become the country’s leading outlet for trendy clothing and accessories. With two locations serving our area (Independence Mall, and Mayfaire Town Center), Justice outfits more than its fair share of fashionable young ladies. Quality designers and manufacturers, customer satisfaction, and ample selection make Harrison Sasser’s Gentlemen’s Corner the area favorite for men’s clothing and accessories. With locations across the South, Wilmington values the brand’s smart eye for the latest, most stylish, and time-tested trends. Designer denim, casual chic, something for every fashionable occasion—Oliver wins best place for women’s wear. Near Wrightsville Beach, Oliver fuses bright colors, après-beach wear, and jeans that fit just right. From jewelry to accessories, swimwear to swanky dresses, Oliver excels at women’s fashion. Designer brands abound at Encore Consignment, including Kate Spade, Rebecca Minkoff, Steve Madden, Jimmy Choo, and Diesel. Encore offers top brands, stellar prices, and a steady stream of contemporary inventory in new or nearly-new condition. Customers rave about high-end selection and helpful, fashion-forward sales consultants. 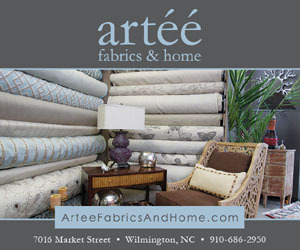 “New and like-new home furnishings and décor at amazing prices,” states Home Again Wilmington’s website, and client pictorials bring those words to life. 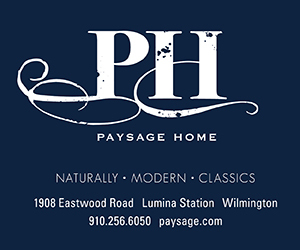 Gathering some of Wilmington’s most sought-after furnishings under one roof, Home Again takes those long-cherished items and places them in appreciative new homes. At Pender Pines Garden Center, clients find whatever they need to cultivate thriving, year-round gardens. Wilmington’s subtropical climate hosts an assortment of perennials, succulents, and annual fauna—check Pender Pines Garden Center’s “plant finder” tool to maximize your coastal backyard. From lamps and lighting to knick knacks, artwork, and coastal inspired furnishings—sea stars are their specialty—Crabby Chic has become Wilmington’s place for home accessorizing. From entire rooms to simple touches, the Crabby Chic consultants know their inventory; ask for creative input on home décor and innovative gift ideas. Home to premier interior design and decorating services, Nest Fine Gifts and Interiors provides one-stop shopping for interior décor, as well. Comfortable and practical, eclectic and unique, Nest’s hand-picked collection of furniture and home accessories make it the area favorite for inspired interiors. With a flagship in Mayfaire Town Center and a second location at Independence Mall, REEDS Jewelers has become the place to adorn your loved one. “Bangles of the Month” combine fine craftsmanship with contemporary accessorizing, while more traditional gems and designs remain a store staple. Serving Wilmington since 1946, REEDS Jewelers remains Wilmington’s favorite jewelry outlet. 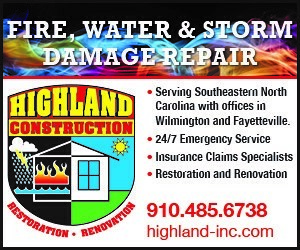 Wilmington’s favorite lighting and “decorative plumbing” house is Hubbard Kitchen Bath and Lighting. Catering to individual homeowners, contractors, and plumbing professionals, Hubbard’s expertise extends to their fully-stocked showroom. From a faith-based foundation, Hubbard illuminates Greater Wilmington’s kitchen and bath space. Monkee’s features a cosmopolitan selection of clothes, accessories, and of course, shoes. From heels, sandals, boots, and flats, Monkee’s carries top designers and styles: casual to quirky, comfortable to night-on-the-town. Wilmington’s fashionable feet flock to Monkee’s of Wilmington. Wilmington’s natural access runs deep, from trails to waterway, river to sea. Eastern Outfitters prepares local outdoorsmen (and women) for the ever-changing elements, with clothing, sport-specific gear, and classes to augment those outdoor pursuits. From boating to fishing, hunting, archery, and SUP, Wilmington loves Eastern Outfitters. It’s hard not to feel a little more hip, a little mellower, and a lot ready to rip up the waves in style, following a visit to Sweetwater Surf Shop. Sweetwater sponsors surf comps, offers surf lessons, and their skate section ensures you surf that “concrete wave” in top form. Featuring gear and goods for men, women, kids―and plenty of rentals. Surf shorts that make a splash, bikinis that work in those waves…Hot Wax Surf Shop, in two locations, is the local’s favorite swimwear depot. Committed to faith, surfing, and beach fashion, Hot Wax aims its surf cam at Carolina Beach’s best breaks—their Carolina Beach location enjoys its own cult following. Located in Masonboro Commons, Divine Wines provides their community with the best and most wide-ranging assortment of international and domestic premium bottles. The owners are fanatics for their 1,400-deep inventory and strive to extend their knowledge to customers. Not a fan of their recommendation? Easily exchange it for an equally priced vino of your choice. Open, modern facilities; a full-service fitness center; plentiful eateries, and outdoor spaces: Autumn Hall has much to offer the assisted living community. There’s a fresh goods market and a healthful grill, even a pub. Proximity to Wrightsville Beach means ocean air and soft sand are just a short field trip away. Offering complimentary consultations, Harbour Club Day Spa guides each client through their ample menu of services. Catering to men, women, and children, Harbour Club features a full-service hair salon, massage therapy, skin wellness, depilatory services, and specialty manicures and pedicures. Congratulations to Wilmington Dermatology, known as “Wilmington’s source for comprehensive skin care.” Patient education includes Product Days, news items, and lunch events discussing the latest treatments, including general, surgical, and cosmetic. Seasonal tips guide patients through a personalized skin care regimen, and staff experts address year-round skin care needs. With 5 area locations, My Eye Dr. works hard to service their widespread local clientele. Comprehensive vision care services include routine eye exams, retinal imaging, contact lenses, and style tips—check My Eye Dr.’s online “face shape” guide for prescription glasses that fit your visage. High marks for customer satisfaction makes Carpet Smart Wilmington’s preferred flooring provider. Occasionally overwhelmed by so many options, clients trust Carpet Smart’s well-educated, well-organized staff to guide them. From consultation to installation, Carpet Smart handles questions, specifications, and specialty projects. Fiore’s flare extends to their artful website, with whimsical tabs like “The Daily Bloom” for everyday floral needs, and “Please to Meet You,” which introduces their enthusiastic floral team. In shop, Fiore creates memorable touches for weddings, anniversaries, and everyday occasions. Personalization, vehicles, after care, long-distance transport, and preplanning services: Wilmington Funeral Home and Cremation handles arrangements with compassion, professionalism, and attention to detail. Skilled at “easing the burden during this difficult time,” the dedicated staff helps loved ones navigate the process and facilitates lasting memorials and tributes. Located in neighboring Hampstead, Castle Bay is a scenic, Scottish links-style 18-hole championship golf course. King’s Table Restaurant serves lunch and dinner seven days a week, and the Pro Shop complements your efforts on the green. Enlist a Castle Bay golf pro to enhance your game. With their “hands-on approach and attention to detail,” RMB Building and Design has become Wilmington’s most esteemed build/design firm. Owner Mack Braxton has been building local homes since 1987; today, RMB’s portfolio includes hundreds of custom builds in Landfall, Porters Neck, and Wrightsville Beach. Consistency of service and staff make Merry Maids the local’s favorite. Merry Maids customizes home and office cleaning to fit your specific needs. Service menu ranges from window cleaning, carpet and upholstery, to organizing services. Professional and pet-friendly, Merry Maids minimizes those dander zones, as well. Customer testimonials applaud Holmes Home Security for honesty, expertise, and “top-notch quality service.” In addition to installation and monitoring services, learn about the “Holmes Connected Home:” integration of lighting, thermostat, and locks from PC or Smartphone. From FAQs to an ongoing blog, Holmes’ service team informs on all things home security. With its uber-chic, contemporary interior and hip and happening outdoor dining and bar—not to mention the most scenic pool in town—the Blockade Runner attracts visitors and locals alike. With e-specials, concierge services, and spa and fitness facility, your beach getaway becomes a full-fledged holiday. The heart of the home, the center of hospitality…no matter where you steer your guests, people seem to congregate in the kitchen. Kitchen Blueprints makes that kitchen the most inviting room in the house. With an emphasis on fine cabinetry, Kitchen Blueprints organizes other meaningful spaces throughout your home, transforming bathrooms, counters, and creative zones. Flora Landscapes find ways to incorporate native elements and make your gardens, walkways, and outdoor corridors thrive. With a thorough knowledge of coastal landscapes, their Design-Build-Maintain aesthetic encompasses surround-sound landscaping needs. Flora’s team has an “artistic” touch, say their growing clientele. Each exterior becomes its own unique space. Proximity to Wrightsville Beach and a full array of amenities earmark Wrightsville Beach Marina as the docking spot. With congenial staff, walking-distance waterway attractions—they even have a swimming pool—Wrightsville Beach Marina’s become the boating community’s favorite place to float awhile. A long-standing, proven track record (over 93,000 home buyers served) makes Atlantic Bay Mortgage Group our area’s preferred mortgage lender. And with over 80 locations nationwide, ABMG prides itself on giving back to the communities it serves, from local charities to regional organizations. An exterminator whose site features a Photo Gallery? Yes. Helping you identify your particular pest problem(s), Jay Taylor Exterminating Co. sets about it to solve them. Evicting those unwanted guests—and quickly—is top priority. From community involvement to client education, this family-owned enterprise has a dedicated, satisfied clientele. Integrating fire, earth, air, and water into custom poolscapes, AquaShapes blends the ethereal with the man-made. From fans and misters, fire pits and outdoor lanterns, landscaping, paving, even fountains, AquaShapes enhances your favorite outdoor water feature. A smiling reception and soft, swanky waiting room sofas welcome you to Bangz. Hair, nails, skincare, massage, waxing, manicures and pedicures—Bangz specializes in head to toe beautification. Fun, hip stylists and plenty of energy make Bangz a destination, not just your favorite local salon. Stellar customer reviews crowd their Facebook page, for Tanglez fans keep spreading the gospel. As a men and women’s salon, Tanglez stays current and contemporary across the trends, and its stylists stay passionate about their work. First-time clients turn into long-time regulars, as well as friends. A 9 to 1 student: teacher ratio and 100% college acceptance stats more than recommend Cape Fear Academy to Wilmington’s K-12 population. Known for a diverse arts program, quality athletics, and a nurturing, empowering classroom dynamic, Cape Fear Academy continues to excel at raising the region’s academic bar. Airlie Gardens creates an exemplary backdrop for the big day. Lush, year-round gardens, butterflies, ponds, and the Airlie Oak—North Carolina’s oldest living oak tree—decorate your ceremony, while Airlie’s experienced, flexible wedding techs and planners augment your special occasion. Peruse their “wedding blog” for success stories, ideas, and ceremonial inspiration.